Alexandria has always fired my imagination. It’s the setting for my novel Selene of Alexandria. I’ve written about its Great Library and Cleopatra’s Needle, an obelisk from the Caesarian that sits in New York’s Central Park. Alexandria is fascinating and complicated, with a reputation for learning and a history of violence. Recently, it was in the news as Muslims attacked Christians, harking back to the bad old days of the fourth and fifth centuries. The next month, I wrote about young people of all faiths forming a human chain around its museums and library, protecting those vulnerable institutions during the Egyptian uprising. In ancient times, as today, it was a major port and the gateway to the rest of Egypt. A diverse city of many religions, where people from all over the world come to work, trade, study and enjoy the culture. You could think of it as the Manhattan of the East, but maybe Manhattan should be known as the Alexandria of the West. After all, Alexandria did come first. Alexander the Great founded the city in 331 BC and it thrived for nearly a thousand years as Egypt’s capital before the Muslim conquest in AD 641. Alexander didn’t live to see his city built, but he was buried there in a lavish tomb which was a “must see” tourist attraction in ancient times. 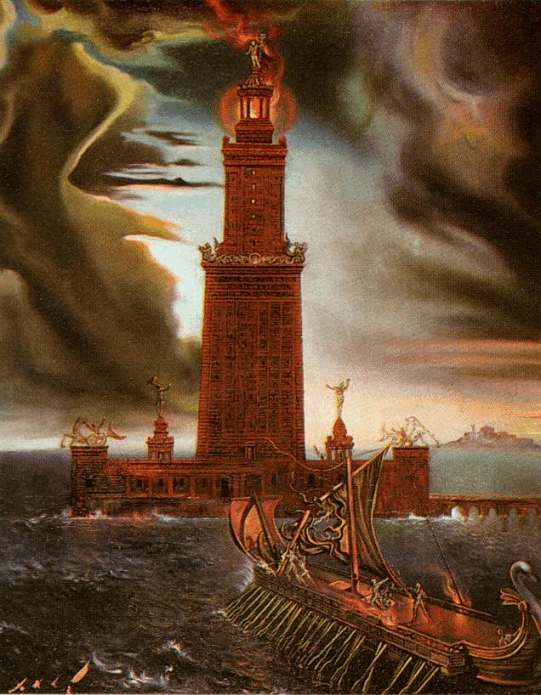 Every Roman emperor who came to Alexandria made a pilgrimage to the Soma. Within a hundred years of its birth, Alexandria’s population exceeded Carthage’s. As a trading center, it soon outstripped Rome. The city was physically impressive, set on a limestone ridge between the Mediterranean Sea and the huge Nile-fed Lake Mareotis, it had great harbors on both. As one ancient wag put it, the people of Alexandria “enjoyed sea fish, lake fish and river fish.” More boats and trade came through the lake harbor than left by the sea one. Its elevation gave its inhabitants welcome sea breezes. Even today, its population doubles during the summer as people escape from the Saharan heat. The streets were generous and laid out on a grid system. But the crown jewel was the Via Canopica, an east-west boulevard that spanned the city and was an impressive 30.5 meters wide. Massive gates, set in limestone walls, sat at each terminus: the Gate of the Sun in the east and the Gate of the Moon in the west. The Ptolemaic palaces and grounds took up nearly one-third of the city. Herophilus (335-280 BC), a Greek physician from Chalcedon, spent the majority of his life in Alexandria, where he was the first to systematically perform scientific dissections of human cadavers. He was the first anatomist and invented the Scientific Method. Together with Erasistratus (below) he founded the great medical school of Alexandria. Aristarchus (310 BC – ca. 230 BC), a mathematician and astronomer, born in Samos, lived and worked in Alexandria. He developed the theory of heliocentrism – the theory that the earth revolves around the sun, rather than the sun revolving around the earth; which was the generally accepted belief of the times. Erasistratus (304 BC – 250 BC) a Greek anatomist and royal physician who, with Herophilus (above), founded the Alexandria medical school. He was among the first to distinguish between veins and arteries, is credited for describing the valves of the heart, and concluded that the heart functioned as a pump. He also differentiated between the function of the sensory and motor nerves, linking them to the brain. Eratosthenes (276 BC – c. 195 BC) was a mathematician and astronomer, born in Cyrene (Libya), and was the third head of the Great Library. He calculated the circumference of the earth and the angle of its tilt to the sun, both remarkably accurate. He created a system of longitude and latitude and established geography as the field of knowlege we know today. Hero (or Heron 10 – 70 AD) an engineer and mathematician; invented a steam engine, a coin vending machine, a force pump (used in fire engines), a wind-powered organ and he put a lot of the “magic” in several religious temples. He is well-known for his mechanical automatons. Galen (September AD 129 – 199/217) a physician born in Pergamon, studied in Alexandria. He traveled widely and wrote a number of medical books. His works on anatomy held up until the sixteenth century and his medical books were still studied well into the nineteenth. Hypatia (AD 355? – March 415) a pagan philosopher, mathematician, and astronomer (and a major character in my novel), wrote one of the best textbooks on Euclid in the ancient times, making Euclid’s proofs accessible to people throughout history. She is best known for teaching Neoplatonic philosophy to the elite young men of the age and her brutal murder at the hands of a Christian mob. But the people of Alexandria gained a mixed reputation. Yes, they had wealth, trade, education and vibrant culture; but the ancient writers also tarred them with an inclination to violence. Early in the Roman era, an unfortunate Roman accidentally killed a cat (sacred to the Egyptians) and was torn to pieces by a mob. But most of the early violence was normal reaction to outside oppression. The Alexandrines backed the wrong imperial aspirant a couple of times and paid the price. Diocletan’s army laid siege to the city in AD 297. When they finally broke through the gates, they massacred the inhabitants and destroyed the ancient palace district (which included the Museon and the Great Library.) It was still in ruins 120 years later. It wasn’t until the fourth century that intra- and inter-religious riots, pogroms, arson and murders made Alexandria infamous. I’ll address that issue in my next post on this great city. Thanks for this fascinating portrait of Alexandria. It’s a lovely addition to the pictures Stacy Schiff filled my mind with in her bio of Cleopatra. With this amazing city so much in the news, it’s intriguing to have my understanding of the ancient city developed so much more fully than ever before. I would love to stroll the streets of Ancient Alexandria and to listen to Hypatia lecture. She is a fascinating woman. I love how Alexandria adopted the scholars. I really enjoyed this article and will check out the other entries. Also your novel sounds interesting. Thanks for visiting my blog too. Thanks, sozmore! 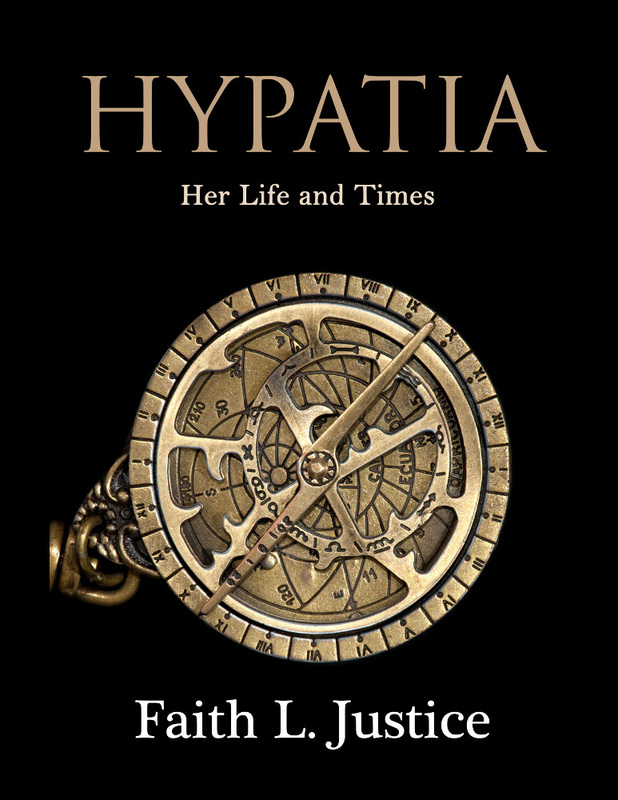 I liked your piece on Hypatia.